Packed full of features like C5 Carbon with VRTech (Vibration Reduction Technology) Frame, Rack and fender mounts add carrying capacity and all-weather utility, Wide gearing range enables riders to tackle climbs and flats and Disc brakes and carbon fork combined with Fuji’s endurance geometry featuring a taller headtube and longer chainstays that put the rider in a more upright riding position and increases bicycle stability. The Silhouette is the women's specific version of the ultra-popular Absolute. It packs the same speed and versatility with more compact frame geometry for a better fit. Available in several models to fit all budgets. 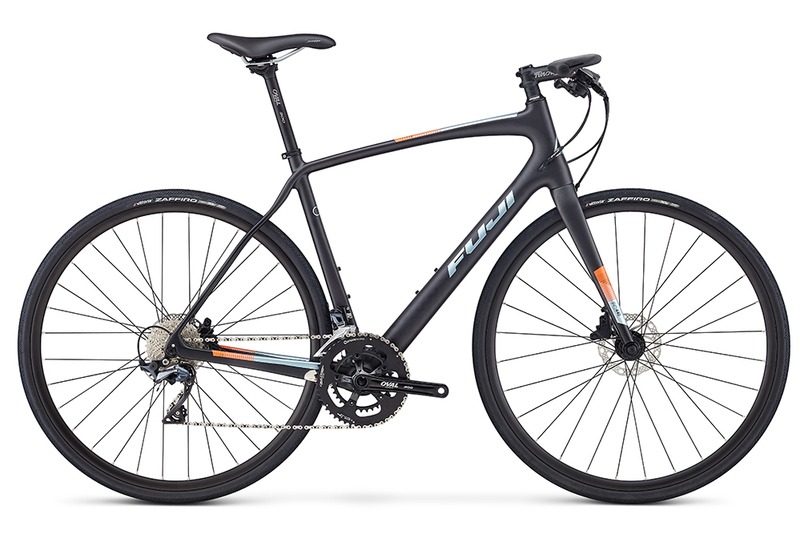 The choice for riders who love the more aggressive ride position of a mountain bike, but desire the versatility of a lighter, nimbler, and more practical city bike. Light, agile and fast the S-Sport will keep you from getting dropped at your next group ride while maintaining a less aggressive riding position. The spirit of a true racing bike with the control of a city bike. Its lightweight, hydroformed aluminum frame delivers quick acceleration and precise handling. A dual-sport machine that will take you anywhere, the Traverse is agile enough for city streets but still able to conquer trails with ease. Light, agile and fast the C-Sport will keep you from getting dropped at your next group ride while maintaining a less aggressive riding position. A flat-bar version of Bianchi's all-road Volpe. Ready for roads, trails, gravel and anything in between.